As a result, assessing a property for its development potential can sometimes be a long and confusing process if you do not know where to find the relevant information. But patience my good friends, we’re here to help. Let’s shed light on one of the simpler development options: Subdivision. More specifically, when you can’t or should NOT Subdivide. “So what actually IS the difference between a Building Designer and an Architect?” This is a question I hear a lot, and rightly so. Ask anyone on any given day and you can receive a different answer. Let’s shed light on some on some of the differences, pros and cons of both. Prices and services within the architecture/building design industries vary widely, based on the level of experience, service and quality of work provided by your designer. Which can make it hard to figure out where your money is best spent while navigating the inherent biases of the professional your talking too! A Building Designer and an Architect are capable of providing the same scope of works. In Queensland in particular, the differences between the two can be minimal, as both a Building Designer and an Architect are required to be registered with the relevant governing body to operate professionally. All Building Designers require the relevant Qualifications, Experience and Insurances to practice in Queensland. However this is not the case in all State’s and this is where the difference can become significant. Make sure to ask these questions of any professional you’re talking to. 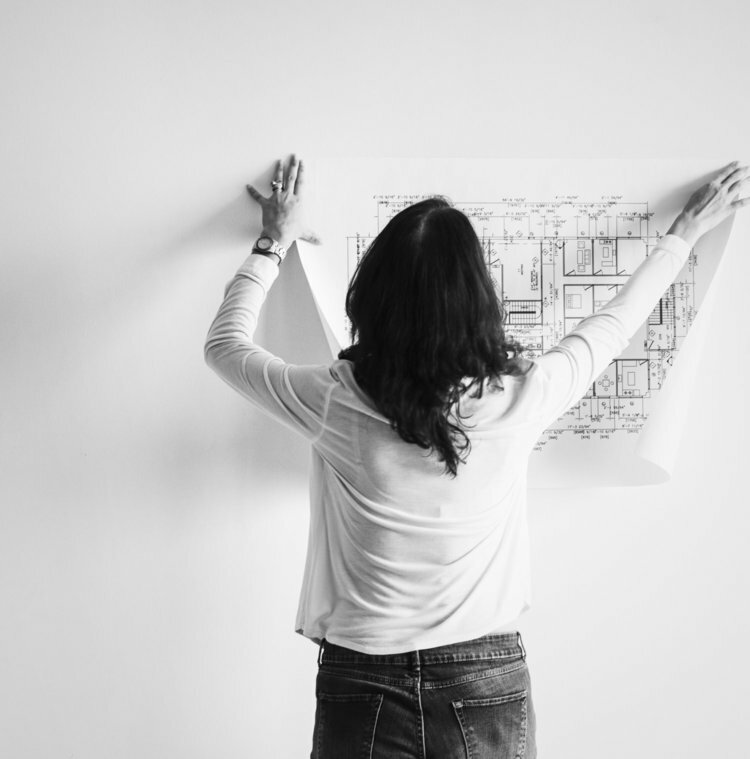 Architects are required to have a higher level of Education in Australia, but both must be qualified and registered in Queensland before they are able to practice. It goes without saying, professional’s vary greatly in their level of service, experience, design and quality of drawings. This goes for both, so you should always be looking at what your goals are and what you will be getting for your money. In most cases an Architect will charge higher fees for their design and drawings, but this may not always be required for your particular project and it will certainly not guarantee a superior level of service or design. This can also be said for a Building Designer, as the level of experience and quality of work will be different for each professional you speak with. “Good Design” is a relatively subjective term, and can be hard to pin down. Therefore a conversation with a potential architect or building designer should centre around your goals, and how they may address your needs. Beginning with low risk services like a concept layout, or design consultation can give a taste of what’s to come, and help you better decide which professional is best for you and your project. When trying to make a decision for your project, you should consider not only the portfolio and level of experience in similar work but also the trust factor. Can this person demonstrate the expertise and value that you need for your project? And are they someone you see yourself working well with as you move through the process of your design project. These are the intangibles that you don’t see in a typical fee proposal, but can quickly become a factor once you begin. You should always work with a registered professional, this protects you, the client, in the unfortunate and hopefully rare cases where something goes wrong. Outside of that, carefully consider your goals, ask questions, and find the right person for the job, regardless of professional title. Once all is said and done, you’ll be glad you did. Best of Luck! Architectural Drawings are an essential part of any design or build project. They are a type of Communication. Translating the ideas of the client or designer into a collection of drawings and documents that clearly and accurately outline WHAT is to be built, WHERE it is to be built, and HOW it is to be built. Architectural Drawings are the primary set of drawings that govern the construction of any new building. They provide information and specifications to not only the client, but any additional consultants required on the project. The architectural plans will be used by your Builder, Engineer, Energy Assessor, Building Certifier, Council etc… the list goes on! Architectural Drawings can be prepared by a registered Draftsman, Building Designer or Architect. And with effective design and communication, your plans should translate EXACTLY what you are wanting to build. But Architectural Drawings can contain a lot of confusing and complex information, so let’s breakdown what is needed in a set of Drawings and how to understand them without breaking your brain! Architectural Drawings can typically be broken down into two stages. 1. The “Preliminary” or “Concept” Stage - This is where the client and building designer go back and forth deciding on how the design is to come together, taking into account things like your build budget and any restrictions on the property. This stage of drawings requires less information. 2. Then “Working Drawings” or “Construction Drawings” Stage – Once the preliminary design has been locked in, more information is applied to the plans. Things like dimensions, and constructions specifications are used to communicate accurately, how the design is to be built. These are the plans that are endorsed for a Building approval, and eventually the plans your builder will use to price from and construct your home. Usually, changes to the plans at this stage will incur a cost from your designer due to the extensive information that is affected by altering the design. - Floor Plan : This is the layout of the building itself. This will show Walls, Doors, Windows, Room locations etc. A floor plans shows all dimensions of Walls and Rooms for the Builder to set out, and is also used as the primary design reference for the additional drawings to follow. A floor plan will also contain things like plumbing fixtures, floor surfaces and anything else the builder needs to aware of before construction. - Elevations : These are the External views of the building. Typically referenced as North, East, West and South. This shows what the building will look like from the outside, including windows locations, overall building heights, cladding materials and roof forms. - Sectional Views : Sectional Views are an imaginary “Cut” through the building. This allows the designer to show the construction components within the building. Things like Wall, Floor and Roof construction are shown. The Sectional Views will include more detailed information about the construction itself. This is also where “Details” are referenced, allowing for close up drawings of connections, and construction components that need more detail. For example, How a roof connects to a wall or how the floor slab sits on the ground. - Additional Drawings that can be included in a drawing set, but are not essential are things like, Electrical Plan, Window Schedules, Ceiling Plans, Interior Elevations etc. These types of drawings are considered to be “Construction Drawings”, and although not essential, they are utilised to show more detail on the project, that way things like Lighting Fixtures, Window Sizes and other relevant information are communicated. This allows the client more control over what is documented, and therefore leaves less grey area come build time. If you’re not looking at construction drawings regularly, they can seem confusing and overwhelming, but with some attention to detail you can quickly wrap your head around the project. But for those who are either struggling or just not interested in looking at construction documents, a 3D rendering can be a great tool for showing the design. Ask your Building Designer if they can provide a 3D for project, to do away with some of the headache in understanding architectural plans. BA Design is a registered, Custom Building Design and Drafting Service based in Brisbane. We prepare Architectural Drawings and 3D Rendering for our clients, to help them achieve their project goals with ease and efficiency. Contact us if you have any questions about your project, we’d love to help.